Ephesians 4 tells us that the calling of church leaders is to train the saints in the work of the ministry, and that is why Ministry Grid exists. Ministry Grid is an online platform that utilizes videos and a suite of tools to provide training for every area of ministry in the church. With over 4,000 video sessions, Ministry Grid has developed Training Pathways to provide foundational, advanced, and expert-level content in specific ministry areas to assist and empower church leaders in their calling and to build up churches in the ministry of the gospel. The presenters in each video are church practitioners and ministry leaders who understand the challenges and speak to them well. What should you do if you are not in charge of training your whole church, though? What if you oversee a single area of ministry and want to provide training just for your volunteers and it isn’t feasible or doesn’t make sense to sign up your whole church? Ministry Grid has two solutions for you! Ministry Area Pricing allows you to subscribe just your particular ministry area so you can train the volunteers you oversee at the affordable rate of $399 per year. As part of this subscription, you have full access to all the training tools Ministry Grid provides. All you have to do is set up an account then purchase. Ministry Training Essentials are video training courses set up as a digital pass that grants a single user access to train as an individual or to watch and discuss in a group setting. Covering 5 different ministry areas, each area has two or more video courses comprised of several short videos interspersed with printable resources and discussion guides. Each course addresses one specific aspect of that ministry area so you can train your leaders with depth and clarity. See the options, here. So whether you are looking to train your entire church, train your ministry area, or learn as an individual, Ministry Grid and Ministry Training Essentials offer what you need to equip volunteers and leaders in your church in the work of ministry. Take less than 15 minutes to watch a demo and get a free 30-day trial of Ministry Grid for your whole church or purchase Ministry Training Essentials here. This week, our CentriKid office team is away from the office at something we call “Eval Week,” a time where we celebrate what God did throughout the summer and discuss ways (from your feedback!) that we can make next summer even better. Before we ever jumped in to details and discussion, we spent time as a team praying over the decisions that were made and seeds that were planted at camp. Because of how God worked through CentriKid’s “FIT: Faith in Training,” hundreds of kids now have a relationship with Christ and many others are continuing to grow in their faith. We are excited to officially announce our 2015 Ministry Results! 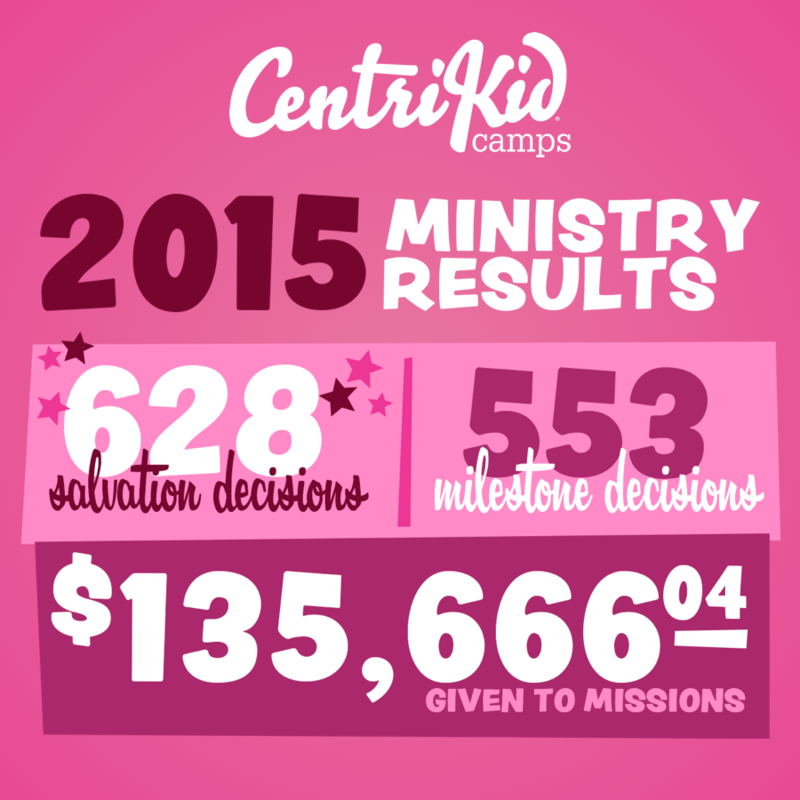 2015 marks the highest amount ever given to missions by CentriKid campers and adults! Check out some other fun results below from this past summer. Wow! Please take time to say a quick prayer thanking God for how he continues to work through CentriKid to impact the kingdom of God. Thanks for joining us for FIT: Faith in Training in 2015, and we hope to see you next year for CentriKid 2016: Unseen! You can check out all of our dates, locations, and how to register here. When you change your perspective it can change everything. In 1609, a man learned about an eyeglass maker who had put lenses together to create a telescope. The man took this knowledge and improved the design to create telescopes that could be used at sea. Later that year, he decided to change his perspective. Instead of looking in front of him, he decided to look up into the sky; and that changed everything. 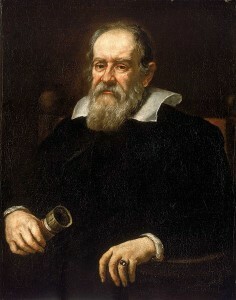 Galileo began to chart the sky and soon published his findings. He was able to see that the moon is a sphere, that Jupiter has revolving moons, and that all of the known planets revolved around the sun. All of this was discovered because he found ways to improve what he had and then focus it on a directive. We are about to enter into a time at the camp office where we do this very thing. We have been blessed to have an amazing summer of camp but as we begin Eval Week next week we will begin to look at what is coming ahead and how we can make camp even more fantastic. Our office team will be going on a retreat to break down each aspect of camp and define the direction we will be going in the next year. As we prepare for summer 2016, we will be looking at ways we can improve our programming, have more fun, make it easier for you as a church group, and ultimately share the gospel in the most effective way. Most of our changes will be the result of the feedback that you have given us and we appreciate that so much. After this time we will know what this coming summer is going to look like and what we need to do to get there. We are excited to jump into a new year of camp and we ask that as we begin this new season that you would join us in prayer as we prepare to share Christ with kids next summer. We can’t wait for you to join! Join Us for KMC in Music City! Have you heard the exciting news? We are hosting #KMC15 at Nashville’s new Music City Center! KMC, or the LifeWay Kids Ministry Conference, is an annual gathering of kids ministers, leaders, teachers, and volunteers. Join us to experience inspirational messages and times of worship, practical breakout sessions, lots of laughter, and a ton of fun! If you attended CentriKid during the summer of 2015, you received information about registering for KMC at a special discounted rate. This offer originally expired on 8/7/15, but we have extended the deadline. Don’t miss out on this great offer! 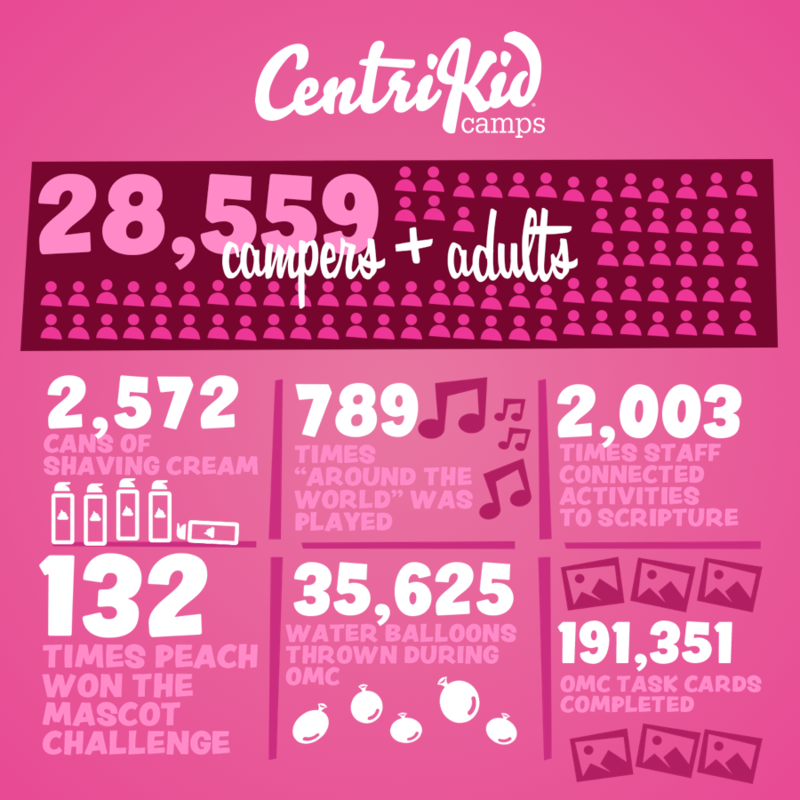 Did you attend CentriKid in 2015? Register for KMC now using the promo code KMC15CENTRIKID and receive the early bird rate of $275! Hurry, this offer ends 8/19/15! The theme for KMC this year is RADIATE. Together we will explore ideas related to making a difference in the world, standing for convictions in the midst of moral turmoil, and helping kids grow up as culture shapers rather than conforming to the world. This all starts with the gospel. Learn more about our theme here. Some of our guest speakers include Eric Mason, Kelly Minter, Ed Stetzer, Sherry Surratt, Ryan O’Quinn, and more. Plus, don’t miss a special concert event featuring Cindy Morgan, Mark Schultz, Kelly Minter, and Andrew Greer! Be sure to check out kidsministryconference.com for more details about the conference, including hotel information, the conference schedule, and a list of breakout sessions (even more coming soon!). You’ll see many familiar CentriKid faces at KMC in October, and we hope to see you there, too. This fall, don’t simply shine your light in a dark world—RADIATE!